This vintage-style tremolo is essentially unchanged from the original Stratocaster bridge. 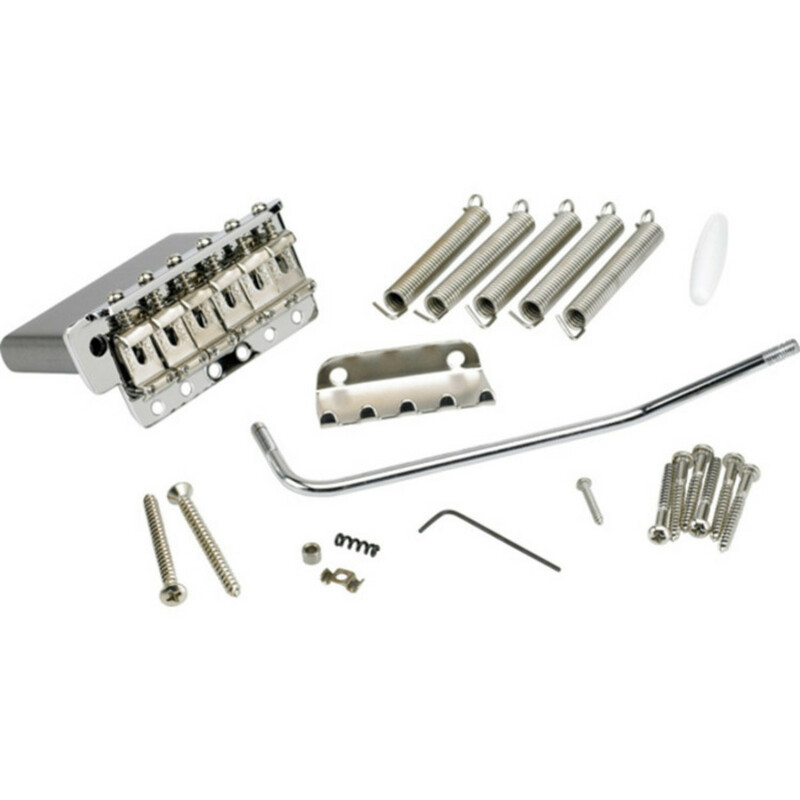 It has six Fender stamped saddles with six mounting screws, a tremolo claw, tremolo tension springs, a tremolo arm with tip and tension spring, a string tree and a .050 hex adjustment wrench. It fits American Vintage Series Stratocaster guitars.